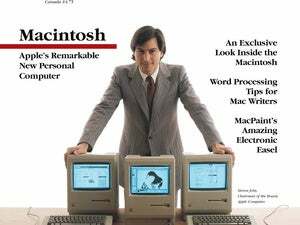 Of the many things I get to do during the week of Macworld Expo, one of the most entertaining is hosting the annual MacBrainiac Challenge—a battle of wits between two competing teams of Macintosh luminaries. Set in a game show format, these two teams do their best to establish their superior mastery of Mac and Apple trivia. This year, the MacBrainiac Challenge featured a team of developers versus a team of Mac media personalities. Brute Camp, the developer team, was led by Bare Bones Software’s Founder & CEO, Rich Siegel and included Rogue Amoeba Software’s CEO/Lackey, Paul Kafasis; Google’s Scott Knaster; and NewsGator’s Product Architect, Brent Simmons. The Justice League, captained by the Chicago Sun-Times and Macworld ’s Andy Ihnatko, also included TidBits’ Adam Engst, Macworld ’s Mac Gems columnist Dan Frakes, and founder of MacFixIt and Mac troubleshooting guru, Ted Landau. As usual, it was a tight contest. Following what has become a typical pattern, the two teams were tied until the final question. Ultimately, the developer team carried the day by cracking a particularly devilish three-point stunt, but it could easily have gone either way. Think you know your Mac facts and figures? Do as the pros do and see how many of the following you can answer without the aid of the Internet. I’ll follow up with the correct answers early next week. Q. In 1984, Steve Jobs headed which Apple division? Q. Three days after his 43rd birthday, Steve Jobs celebrated by doing what? D. $1 in addition to agreeing to take every copy of Two Virgins off Apple Corps’ hands. Q. Cambridge Silicon Radio manufactures what sort of components found in some new Macs? Q. Whose signature did not appear on a limited-edition iPod? Not difficult enough? Try a couple of these two-point questions where you have no choices to choose from. Q. In Terminal, how many key presses does it take to list every Unix program the system knows about? And what are those key presses? Q. Which Apple application enables speech input by default when launched? Q. What is the significance of the words “A boy once lived in”? Q. Images of the North American continent can be found in the icons of two standard Mac applications within the Utilities folder. Name those applications. Mac OS X supports a language invented in the 19th century by a Polish ophthalmologist, a language invented in the 20th century for a sci-fi movie, and a language that formed in the 10th century on a Pacific island chain. After U.S. English, make these your second, third, and fourth preferences respectively for your Mac’s application menus, dialogs, and sorting. And finally, the puzzle that determined the winner. I asked each team to successfully perform the following stunt with their computer. With your computer you will send me an electronic greeting. You may not use e-mail. You may not use a browser. You may not deliver it to me physically. Oh, and did I mention that I’ve switched off the network connection and Bluetooth on my computer?